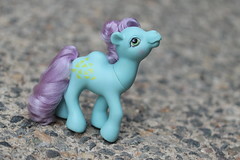 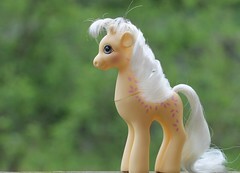 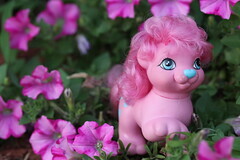 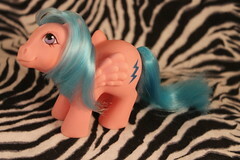 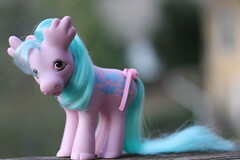 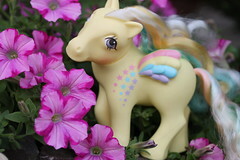 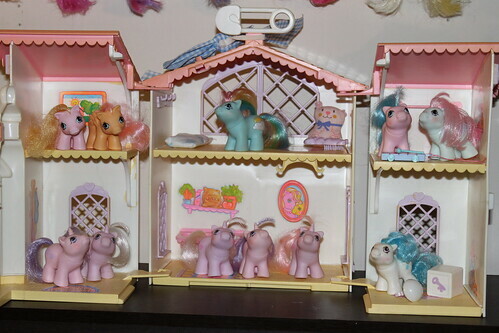 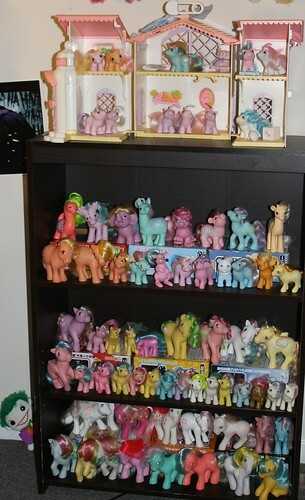 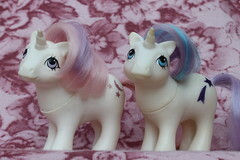 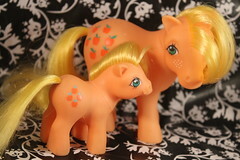 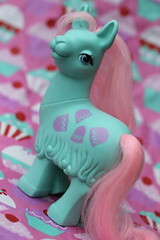 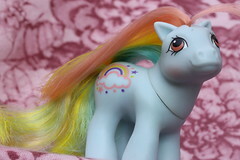 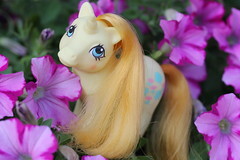 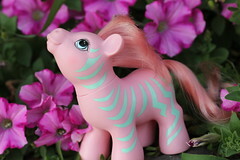 I had an obscene number of My Little Ponies when I was a little girl, but those are all boxed up in the depths of the attic somewhere. 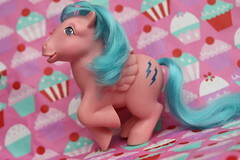 I recently became interested in the My Little Pony Friendship is Magic tv series/line of toys and decided to start collecting My Little Pony. 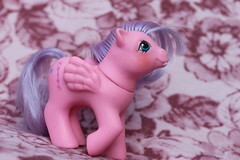 My collecting focus is primarily on the G4s but I have started collecting my favorites from the other generations now as well.